West Virginia Senate President Mitch Carmichael and other Senate GOP leaders hold a press conference on March 6, 2018, on the signing of a bill calling for pay raises for all state employees, including teachers. Campaign finance experts say promoting off-ballot politicians is very unusual for independent expenditure political action committees, or PACs, such as the one paying for these services. The public relations firm that’s been hired has made national headlines for its possible connection to the FBI special counsel’s probe of Russian interference in the 2016 presidential election. 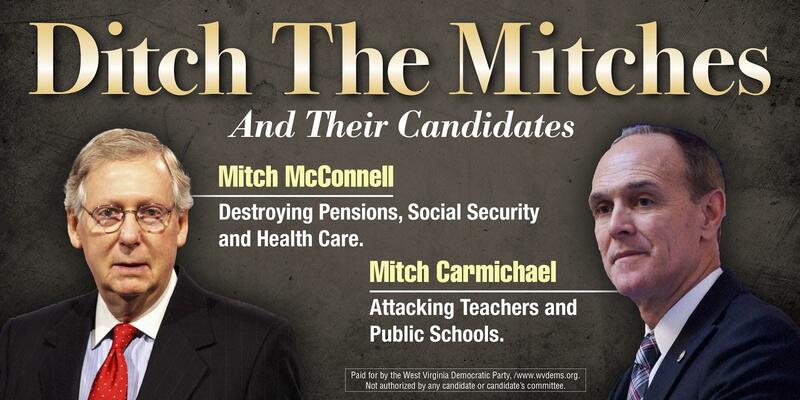 Emails from employees of public relations firm Mercury, LLC, sent to West Virginia Public Broadcasting reporters -- and others in news media who cover state government -- have recently solicited interviews with Senate President Mitch Carmichael. Those emails -- which were sent by Mercury employees Katya Myagkova and Brent Petrone throughout the month of August -- sought to have reporters speak with Carmichael regarding the federal Tax Cuts and Jobs Act and federal legislation attempting to curb the country’s opioid crisis. The emails included a banner image with “West Virginia’s Future PAC” and signatures identifying Petrone and Myagkova as Mercury employees. Emails between Carmichael, Sen. Craig Blair and Mercury employees -- obtained by West Virginia Public Broadcasting through a public records request under the state’s Freedom of Information Act -- also indicate the firm was helping GOP Senate leadership tailor messaging around a number of issues and craft a “proper narrative” regarding this year’s teacher strike and West Virginia’s economy leading up to the 2018 midterm elections, despite neither Carmichael nor Blair being up for re-election this year. While records show that West Virginia’s Future PAC spent a total of $21,731 in August on digital advertising services from Pittsburgh-based company Fifth Influence in support of Republican Senate incumbents Ryan Ferns, Ed Gaunch and Tom Takubo in the general election cycle, $37,500 the committee spent this reporting period was paid to Fulcrum Campaign Strategies, for consulting and PR services mostly used by Carmichael. In a July 19 email sent at 8:24 a.m. with the subject “Thank you,” Carmichael contacted Mercury employees Nicole Flotteron, Chapin Fay and Dan Bank -- all of whom hold the title of senior vice president. 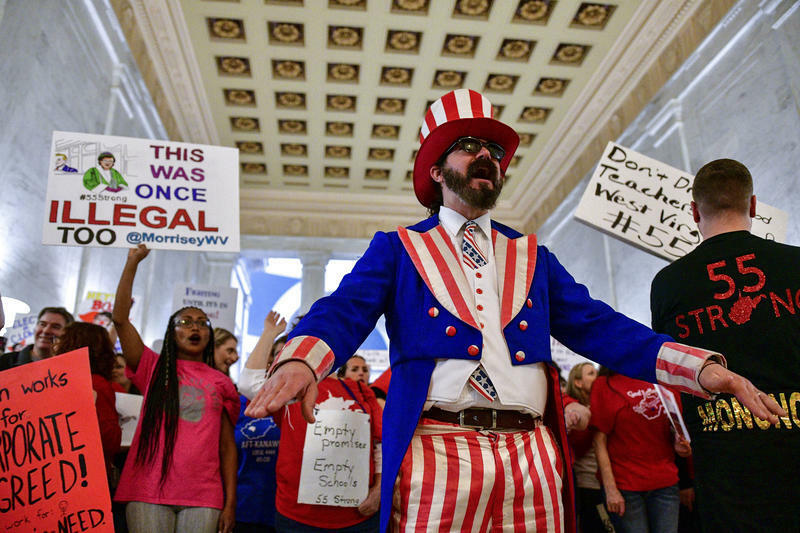 Parry Casto, from Huntington W.Va., leads a rally outside the Senate Chambers in the West Virginia Capitol in Charleston, W.Va., Monday, March 5, 2018. Hundreds of teachers from 55 counties are on strike for pay raises and better health benefits. Another email sent July 19, this one with the subject line “Response to local AFT leaders agreeing with our statement” and sent at 8:37 a.m., Carmichael seeks advice from Flotteron, Fay and Bank in messaging related to teacher unions. Days earlier, on July 17, Carmichael drew attention for a thread of eight tweets in which he criticized the American Federation of Teachers’ adoption of a platform at the union’s national conference in Pittsburgh. Teachers in West Virginia -- backed by the West Virginia Education Association and the American Federation of Teachers-West Virginia -- went on strike for nine days during the 2018 legislative session demanding better wages and a permanent fix to the health care program for state employees, the Public Employees Insurance Agency. With the Republican Senate majority once rejecting a 5 percent pay increase for teachers, the strike ended with the passage of a bill doing just that -- but adding raises for all state employees -- and the creation of a task force on the health care issue. The bill was passed only after being sent to a conference committee between the House and Senate, where members finally agreed to the 5 percent raises. In the interest of full disclosure, the Educational Broadcasting Authority, which does business as West Virginia Public Broadcasting, is an independent state agency. As such, its employees also received the pay hike. During and since the strike, leaders of teacher unions and their members have taken aim at GOP Senate leaders -- particularly Carmichael -- promising an education-focused takeover of the Legislature in the 2018 midterms. Through their political action committees, the unions have supported candidates they see as promoting a pro-public education agenda. The unions have largely supported Democratic candidates. Carmichael and other top Republicans in the Senate have taken credit in recent months for the pay raise for teachers and all other public employees, despite the caucus’ holdouts that drew out the strike. Some of the messaging around teacher issues has taken place under the consultation of Mercury. Carmichael argues that those efforts, funded by the West Virginia Democratic Party, have mischaracterized him in terms of what unfolded during the teacher strike. “The press, in large measure, does a good job, but some of those opposing -- the people that want to just create havoc -- are distorting that message and, so, I think it's important for the people to know the truth and to hear it as it really occurred,” Carmichael said about the narrative surrounding the strike. “The West Virginia’s Future PAC – which is an entity outside the legislative purview -- contracted with Mercury to develop that messaging and make sure the story is told in a way that, you know, is sort of what we believe is the truth about the story and cut through all the different aspects of distortions and so forth. So, they’re working with West Virginia’s Future PAC to develop that message and make sure it gets out,” he added. Other emails show Carmichael forwarded a June 8 email newsletter from the West Virginia Chamber of Commerce to Flotteron. A June 14 email from Carmichael to Flotteron detailed state employment numbers from May sent to members of the West Virginia Legislature from West Virginia Chamber president Steve Roberts. “I’m compiling more data and will forward in a string of emails,” Carmichael wrote to Flotteron. An Aug. 8 email from Carmichael with the subject line “Fwd: Strikes Again?” included a newsletter forwarded to Mercury employees from The Center for Education Reform sent to Carmichael the day before. The newsletter detailed the possibility of teacher strikes by union members in Puerto Rico and Los Angeles. “Help me craft response…..” Carmichael wrote in regard to the newsletter from the West Virginia Center on Budget & Policy. “Is this useful?” Blair wrote to Flotteron. “We will write it for you. Standby,” Flotteron replied. A campaign finance report filed recently with the West Virginia Secretary of State’s office shows the independent expenditure political action committee West Virginia’s Future raised $320,250 from May 21, 2018 through Sept. 23, 2018. Contributors to that committee during that time period include a $15,000 donation from DuPont spin-off company Chemours as well as a list of more than 200 names of people who donated funds following a Wheeling dinner event on June 28, where the group raised $284,655. The first general report from West Virginia’s Future PAC was due Friday, Sept. 29, but wasn’t received by the Secretary of State’s office until Oct. 1. According to the state’s campaign finance reporting system, the organization has been late in filing two of its three other reports that have been due. There is no penalty for a filing campaign finance reports after a deadline. This image was at the top of news releases and interview solicitations Mercury employees sent to West Virginia reporters. Among the $149,685.19 in expenses the committee paid during the first general election period from May 21 to Sept. 23, two payments totaling $37,500 were paid to Fulcrum Campaign Strategies for “strategic / communications consulting.” According to the District of Columbia’s Department of Consumer and Regulatory Affairs, Fulcrum Campaign Strategies has been used as a trade name for Mercury, LLC. Company officials also confirmed Mercury does business under that name. According to Mercury’s website, the company is a “global public strategy firm” that handles public relations, public opinion research, crisis management and mergers and acquisitions. The company’s clients include AT&T, Airbnb, eBay, The Ford Foundation, Hyundai, Pfizer, Tesla and Uber. Mercury also lobbies on behalf of foreign governments. Mercury has come under scrutiny during the past year for possible connections to President Donald Trump’s former campaign manager Paul Manafort. In September, Manafort agreed to plead guilty to charges in the indictment and cooperate with FBI special counsel Robert Mueller’s investigation into Russian interference in the 2016 election. In Manafort’s indictment, two companies identified as “Company A and Company B,” were named as having done work under the direction of Russian-friendly former Ukrainian President Viktor Yanukovych. Manafort spent nearly a decade as a consultant to Yanukovych and his country’s Party of Regions. A report from NBC News identified “Company A” as Mercury and “Company B” as the Podesta Group. According to reports from various news outlets citing court filings from Mueller, Mercury could face legal trouble for their connections to Yanukovych. “We worked for an [non-government organization] based in Brussels that supported Ukraine’s entry into the European Union, which would have driven Ukraine closer to the west and further from Russia’s influence. The project started more than six years ago and ended more than four years ago,” Mercury partner Michael McKeon wrote in an email when asked about the company’s connections to Yanukovych and the the FBI special counsel’s probe of Russian interference. “We hired lawyers to advise us on proper disclosure, reported our work to Congress in 9 different public lobbying reports and later voluntarily filed a FARA. Any questions you may have about the work is all in the public filings,” McKeon added. FARA is the acronym for Foreign Agents Registration Act, federal legislation requiring “persons acting as agents of foreign principals in a political or quasi-political capacity to make periodic public disclosure of their relationship with the foreign principal, as well as activities, receipts and disbursements in support of those activities,” according to the U.S. Department of Justice. McKeon also said none of the Mercury employees on the project in West Virginia worked for the non-government organization and most current employees were not with Mercury at that time of the company’s work linked to Yanukovych. Carmichael said he was unaware of Mercury’s connections to Manafort’s indictment in the Russian probe when he began working with the firm. He said he later became aware of those ties, but has no concerns about the company. “I've just heard, anecdotally, somebody say, ‘You know, hey, this or that’ about Mercury. I don't have anything other than just a cursory [understanding of those allegations],” Carmichael said. Asked about Mercury’s work with Carmichael or anyone else in the West Virginia Senate, McKeon deferred to West Virginia’s Future PAC. 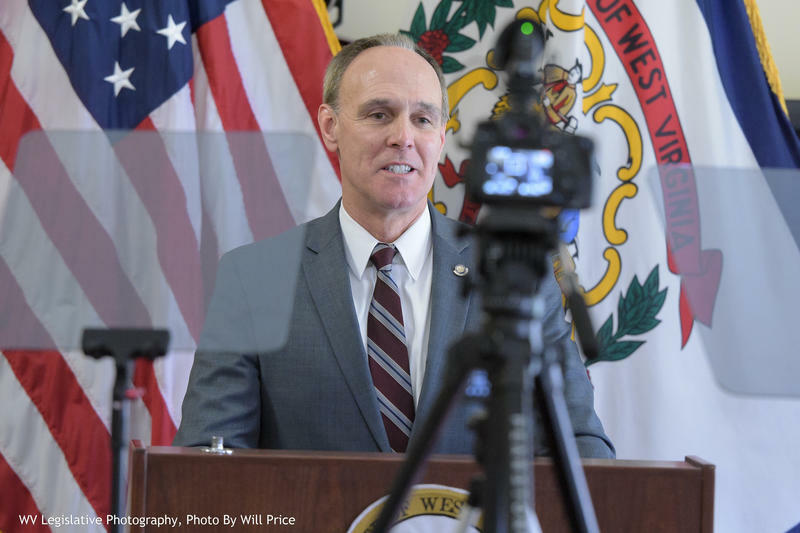 Chris Asbuy, an attorney for West Virginia’s Future PAC, provided a statement to West Virginia Public Broadcasting noting pay raises for state employees, reported economic growth, implemented regulatory reforms and other efforts by the Republican majority in recent years. He attributed those accomplishments to the GOP takeover of the Legislature in 2014. “West Virginia's Future PAC hired Mercury to cut through the election year political chatter and help tell this remarkable comeback story directly to West Virginians,” Asbuy wrote. Independent expenditure political action committees, like West Virginia’s Future, are created to expressly advocate for the election or defeat of a particular candidate -- but not in cooperation with or at the request of that candidate. Typically, independent expenditure political action committees would not raise money for services such as polling or public relations services, according to campaign finance experts. Dan Weiner of New York University School of Law’s Brennan Center for Justice said promoting non-candidates and paying for services like public relations is atypical of independent expenditure political action committees. Weiner said political action committees funding politicians not on the ballot -- or services for them -- should raise questions about the possibility of political favors being returned in exchange for that help. Why Mercury, When the Senate Has Its Own Communications Director? While Mercury’s services have provided public relations support for Carmichael and Blair, the Senate employs its own communications director who works with news media. Jacque Bland currently holds the title of communications director of the Senate, under the supervision of Carmichael in his role as Senate president. In the position of communications director, Bland works as a liaison between all members of the Senate -- regardless of party -- and the news media. According to the state auditor’s office, Bland was paid $73,640.01 for her work in 2017. Asked whether Mercury’s work has affected her job as communications director of the Senate, Bland declined to comment for this story. Carmichael said the work performed by Mercury -- particularly that which is focused on issues related to the teacher strike -- is politically motivated and is inherently different than the work Bland does. He said the political messaging should be outsourced to an entity outside the Legislature. “West Virginia legislative announcements and so forth get published on the Legislature’s website. These recently, on both sides of the aisle, have become very political -- they have become too political,” he said. Carmichael said he has had conversations with Democratic minority leaders Sen. Roman Prezioso and Del. Tim Miley about trying to limit the scope and use of the Legislature’s public information office and get politics out of the equation. Prezioso and Miley confirmed those conversations. “If it becomes political, you need to use an outside entity to craft that. That message needs to get [put together] outside of here. Jacque does a phenomenal job of getting this messaging -- the informational pieces -- out to the public. But in terms of it, if it's going to turn political at all, it needs to be done by a separate political arm outside of this Legislature. And, so, that's what Mercury's purpose is,” Carmichael said. As the November midterms get closer -- and with teachers issues remaining on the minds of voters -- Gov. 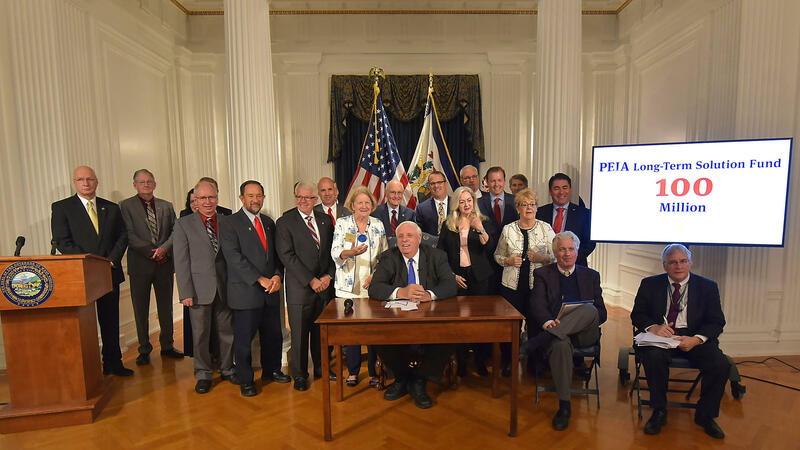 Jim Justice announced this week plans for another 5 percent pay raise for teachers and all other public employees and a promised dedication of $100 million to funding PEIA. During a news conference Tuesday announcing those plans, Justice touted Republican accomplishments in terms of this past year’s teacher raises and economic growth in general, citing a nearly $120 million budget surplus three months into fiscal year 2019. He also downplayed the role of the unions and the strike. Gov. Jim Justice is joined by Republican legislators to announce plans for additional pay raises for public employees in the 2019 legislative session. Justice acknowledged holdouts by Senate Republicans, but also gave credit to the majority caucus in the upper chamber. “It took a little while to get the Senate on board. But when they came on board, what did they do? They came on board for not only the teachers -- they came on board for everybody. Everybody got the five percent,” he said. In a news release dated Oct. 2 -- the same day as Justice’s announcement of plans for another round of raises for state employees -- Carmichael released a statement through the Legislature’s public information office. Bland is listed as the contact on the release. How much the teacher strike and issues related to public education will impact the 2018 general election remains to be seen.